Hydrangea macrophylla 'Mirai' is a hardy shrub that is container friendly. Its blooms are quite a display with white mophead flowers in summer with each individual floret edged in a light pink/red. As they mature the colour will deepen giving this shrub a milti-coloured look when there are young and older flower clusters on the same shrub. Height 90-100cm. Supplied in a 7.5-10 litre pot. 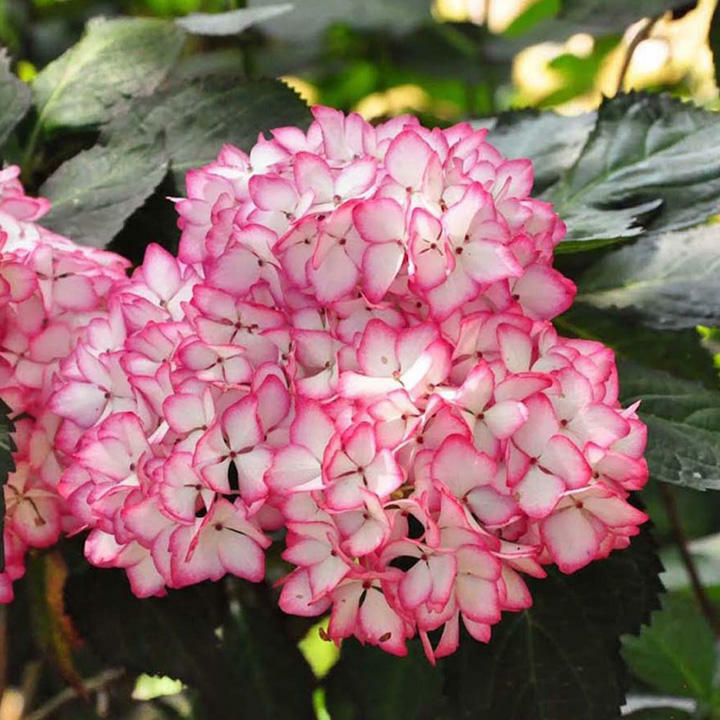 Hydrangea macrophylla 'Mirai' is a hardy shrub that is container friendly. Its blooms are quite a display with white mophead flowers in summer with each individual floret edged in a light pink/red. As they mature the colour will deepen giving this shrub a milti-coloured look when there are young and older flower clusters on the same shrub. Height 90-100cm. Supplied in a 3 litre pot or 7.5-10 litre pot.